The mission of today’s 3d Virginia Volunteer Infantry, a not-for-profit living history interpretive organization, is to provide insight into the lives of those who endured the war, and to promote historical and battlefield preservation through public education. 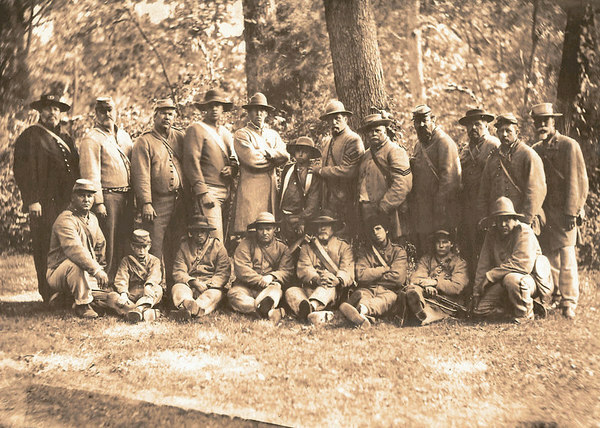 Members of the 3d Virginia accurately portray the life and times of the ordinary Southern soldier serving in General Robert E. Lee’s Army of Northern Virginia from 1861 through 1865. All clothing, equipment, weapons and accouterments are museum-quality reproductions and painstakingly researched for authenticity. Our educational programs meet all of the required Virginia State SOL’s relating to the American Civil War and, as a result, we work with many local school systems. We gladly provide our services free of charge, but your tax deductible donations are always appreciated. Please contact our officers for more information or to schedule an event.